Vintage and full of character, Waterhill bath faucets and accessories bring provincial elegance to today's more tradtional homes. Period-era details like a gooseneck spout and top finial give each faucet an authentic feel. From the experts at Delta, this fine tub shower faucet in bronze is just the stylish touch your bathroom needs. It comes with 3 spray settings that you can change to meet your needs. It brings a touch of long-lasting beauty to your bathroom. Exposed pipes and industrial-chic finishes are just a few of the downtown loft-inspired design details that come to life in Arris faucets and accessories from MOEN. Sharp angles and tubular lines dominate each piece in this modern collection, exemplified here in the Arris Posi-Temp Eco-Performance Shower Faucet Trim Kit. This shower head features MOEN's Immersion rain shower technology, which channels water through a spoke design, concentrating and magnifying the water's natural force and dramatically enhancing your shower experience. 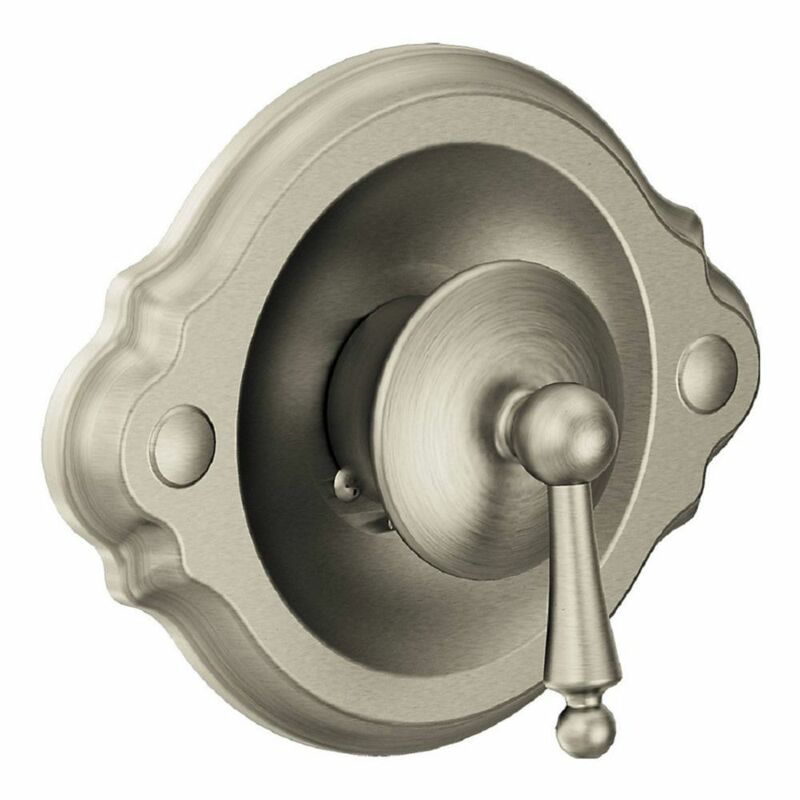 This trim kit requires MOEN valve 2510, 2520, 2570, 2580 or 2590 to complete installation. Weymouth Posi-Temp 2-Spray Shower Faucet in Brushed Nickel (Valve Sold Separately) Vintage and full of character, Waterhill bath faucets and accessories bring provincial elegance to today's more tradtional homes. Period-era details like a gooseneck spout and top finial give each faucet an authentic feel.